London Ambulance Service staff have been in Guernsey training and working with the ambulance team at JESCC, the Joint Emergency Services Control Centre. Juliet George and Lesley Casey are both Quality Assurance Managers and were on the island for a training and development visit and discussing the system both services use. Both JESCC and the London Ambulance Service (LAS) use the Medical Priority Dispatch System for call handling and dispatch. The BBC recently broadcast a documentary ‘Ambulance’ which revealed that LAS receives on average 5,000 emergency telephone calls every day, compared with 15-25 JESSC handles on the island. 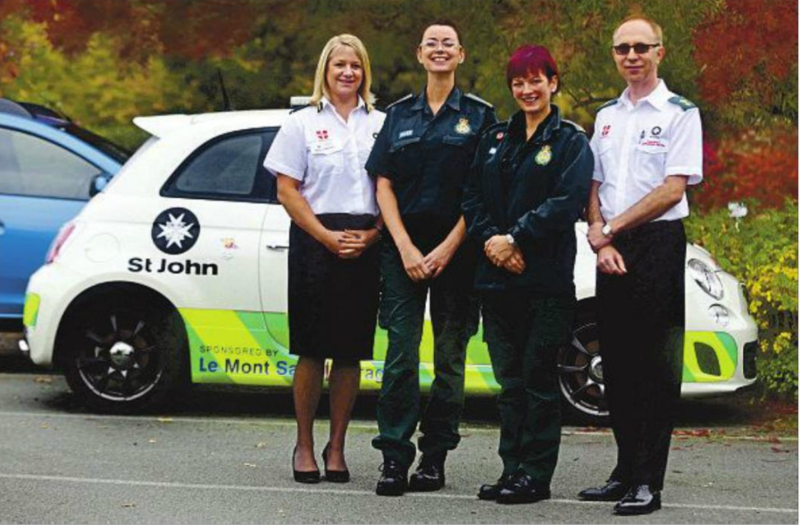 Another key difference between the two services is that in Guernsey, emergency calls for St John Ambulance, the Fire Brigade and Guernsey Police are all handled by the joint centre, whereas in London, LAS works predominantly on its own, although does liaise with the other services. Mrs George said the visit had been very useful and productive. ‘It’s been an opportunity for a sharing of ideas and ways of working. Our secondment allowed us to meet the staff in Guernsey and see how a small jurisdiction handles its emergencies. And we are impressed with what we have seen,’ she commented. St John Deputy Chief Officer, Ali Marquis, said it was important to validate and check the work ambulance staff undertake at the Centre, and LAS were the perfect partner.